A list of eyewear brands we carry at Insight Eye Care from A to Z. The list starts with Adidas and ends with Vinylize. In total, we carry 35 eye glasses brands, giving you an incredible selection. 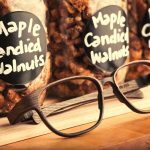 If you find a competitor is offering the identical frame and lens package for a lower price point, we will match the pricing and provide you with an additional $25 gift card toward your next purchase. Our eyewear and lenses come with a warranty so you know your investment is safe from manufacturing defects. We also have a generous non-adapt policy on lenses if your new spectacles are not working for you. Perfect match for someone who loves the environment. The frames are made from 100% wood! 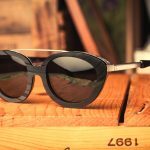 Unlike other wooden frames on the market, these frames are tested in a multitude of altitudes and weather conditions to ensure the best quality standards. Made for the music lover. 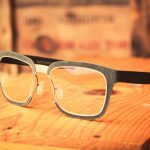 Made from vintage vinyl records, these frames are lovingly handmade in Hungary. Vinylize is a brand that continues to reinvent itself with trend-setting shapes every year. Released a new rubber collection, using a material not seen in mainstream or even independent eyewear. With rugged yet simple design, these frames will draw attention. We will also soon have one limited edition wool frame from Hapter! Innovative, natural and distinguished. Made in Austria. Vintage-inspired with beautiful scrollwork. Made in Japan. "Flirty and feminine with a colourful punch." Eccentric, striking and beautifully unusual. Made in France. Engaging, refined and expertly crafted. Made in Canada. Luminescent, dramatic and beguiling. Made in France. Bright and boldly elegant. Made in France. Modern, industrial and minimal. Made in Germany. Distinctive, expressive and handcrafted with passion. Made in Italy. Athletic, resilient and protective. Made in Italy/Japan. Animated with a diverse colour palette. Made in Spain. Energetic, polished and colourful. Made in Italy. Laminated, exclusive and luxurious. Made in Japan. Polished, relaxed and naturally cool. Made in Japan. Cultured and discreet yet unforgettable. Made in Italy. Dark, striking and not for the masses. Made in Hungary. Bright, fluid and full of personality. Made in France. Colourful and quirky with lots of imagination. Made in Italy. Sophisticated with a lot of character. Made in France. Intensely constructed and sometimes golden. Made in Japan. Electric, unconventional and artistic. Made in Belgium.